Emus4U offers many exclusive apps to its user. If you are an Android owner and are looking up to add some tweaks in your apps, the app installers are the one which can help you to achieve your goals. 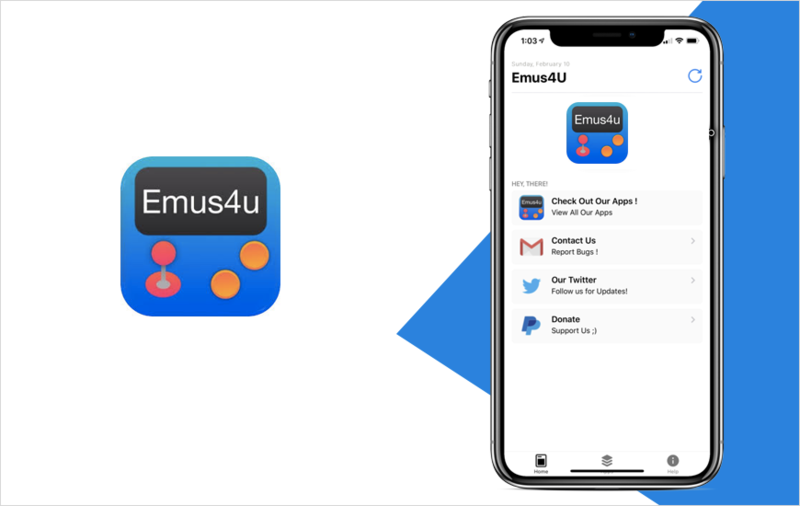 Emus4U is the latest and best third-party app installer, offering users a fantastic choice of modified games, tweaked apps, tweaks, premium content and more. Read on to find out how to get the most popular app installer on your device. Wait for the process to finish and you should see the icon on your home page. App Store Apps - Contains loads of official apps and games, including the premium ones. 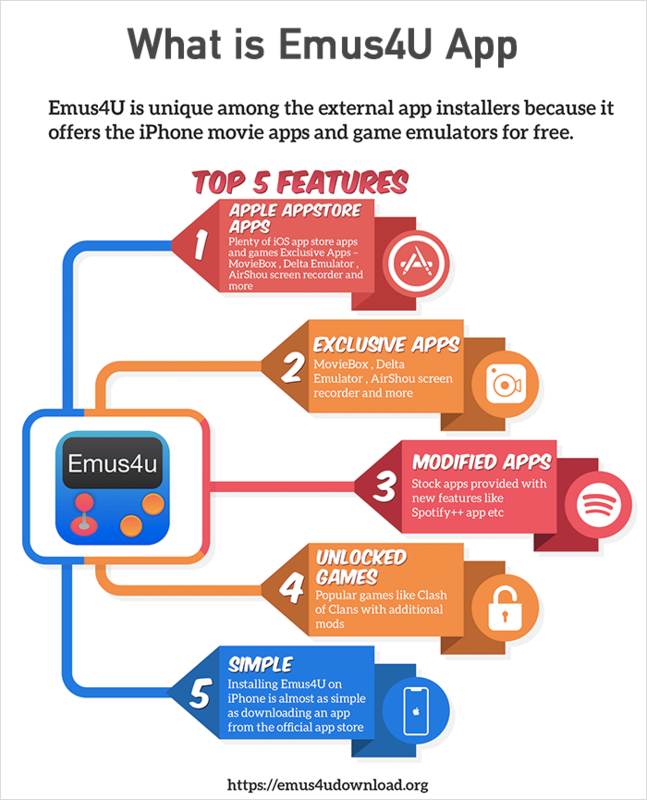 Exclusive Apps – Emus4U apps like emulators, tweaks, screen recorders, streaming apps, and more. Tweaked Apps – Stock iOS apps with great new features. Modified Games - Popular games with great new features. Will Emus4U Void My Warranty? No, it cannot void your warranty because it is perfectly legal to use. Also, unlike Cydia, it doesn’t need root access, and it doesn’t hack through Apple’s security. What might affect is if you have any modified apps or tweaks on your device – if you do need to return your iPhone or iPad to an Apple store, make sure you delete them first; they can be reinstalled later. Don’t worry; this isn’t a serious issue. The installer runs using expired enterprise certificates and, while Apple revokes these, the developers replace them very quickly. There’s every chance that you are trying to download while they are doing that. Delete Emus4U, wait for a few hours and have another g; the certificate will have been updated. Apple will have revoked the app certificate, and the app stops working. Just leave things alone and try again in a few hours. The certificate will have been replaced, and it will all work again. Yes; place the request on the developer Twitter feed. There are no guarantees that it will be honored though so don’t be too disappointed if it isn’t. An App Crashed; What Do I Do? Delete it and reinstall it; that’s the easiest way. For more Emus4U updates, follow it on Facebook and also, stay updated with the latest news from the world of technology, then make sure you follow MobileAppDaily. In order to never miss any other update from us, all you need to do is click on the ‘Subscribe’ button.